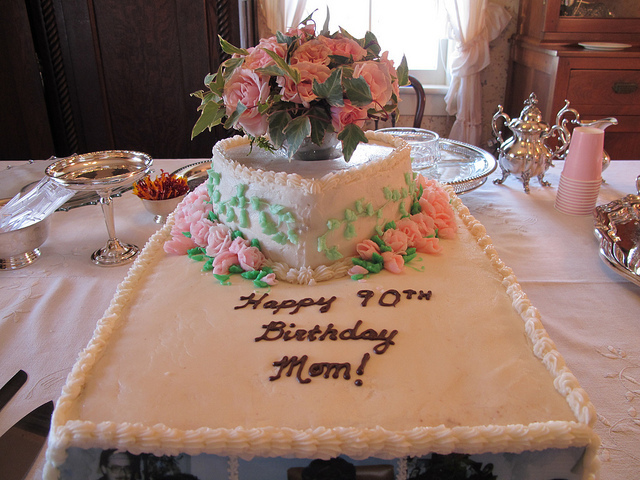 Your mom’s birthday is coming up and she undoubtedly deserves a memorable surprise party. But how to make it a hit without any hitch? Well, pulling of an exciting surprise party takes a lot of preparation, stealth, skill, and good luck for sure. Planning them can be difficult, and if you’re thinking about throwing one, then there are many things to consider. Let’s start the secret journey of planning! Yeah! This is the first thing you need to keep in mind. Just keep your lips sealed. Secondly, do not share your idea with all as others might leak your surprise. Make a list of invitees and ensure they are not aware of your intentions until they reach to the last moment. So, just seal it up! Alone you can’t make it an exciting bash, so find a person on whom you can have faith in. Not only will you have like minded buddy to fabricate great ideas with you, but you’ll also have an important diversion for the big day itself. Take help from your ally and start planning secretly. Surprise party catering is an easy chore. You need to unleash your creative side to make refreshments and food items a big FUN for your guests. Chuck food pairings and rules out, and concentrate deeply on food & drinks that your guests mad about. Surprise the victim with her comfort foods and favorite indulgences. The invitation of a surprise gala should make it totally clear that the party is a BIG secret and you’re relying on your guests not to let the cat out of the bag. 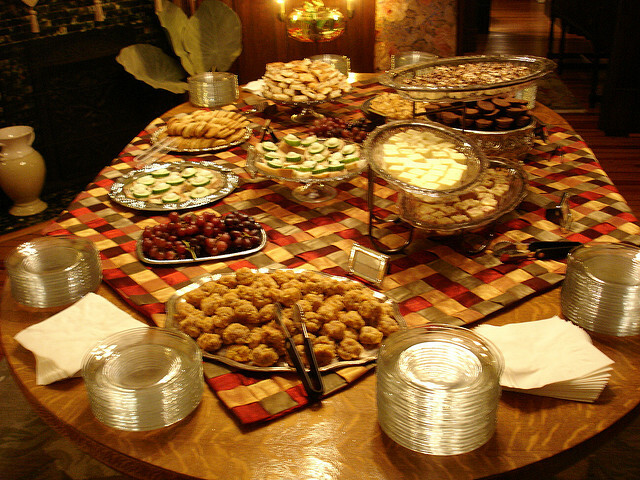 Send direct invitation through an e-mail or cell phone, especially if you’re throwing the party for a special person. Do not organize your party in your home. If you share your home with the party victim then he/she will surely going to start getting doubtful. 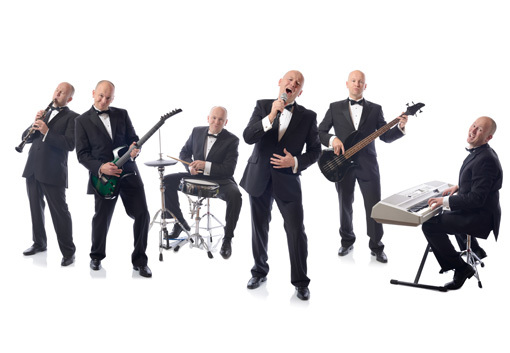 Finding a new party venue is not difficult as you’ll easily find a lot of options online. 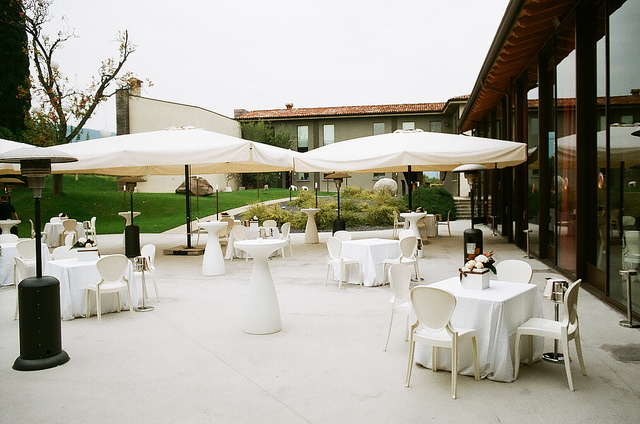 Once you select the right place, accumulate details about refreshments, music, decorations, and so forth as you cannot pay for the last minute mess. So the location and arrangements should be as special as your loved one. Paste in mind that your guest of honor will not appreciate reaching home to a formal get-together if she’s beautified in colorful sneakers and sweatpants. Ask the invitees to dress themselves the same way the surprise will be attired. You will surely raise eyebrows and smiling faces. Never take for granted that your main victim will reach at the chosen party location at the right time. Make sure you get the guest of honor out of the way for a few hours for a special meal or drink in his or her favorite restaurant. This will seem very normal and will sink smoothly into your surprise bash. You can throw a small fake party on a different venue and date and keep the actual bash under cover. Through this, your victim thinks that you’ve planned something little for his/her birthday or anniversary and will not doubt about a huge surprise gala. So fake it till you make it! 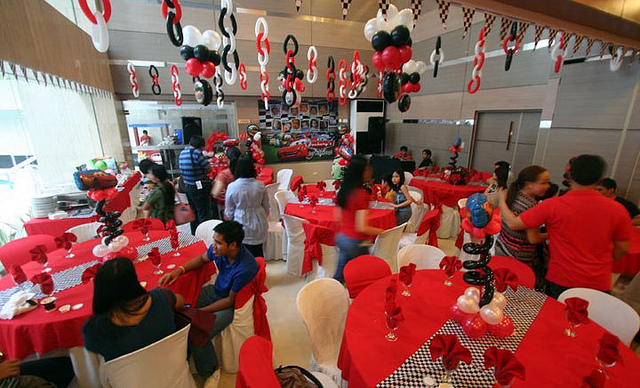 Decorations play a vital role in a small or big party. However, while planning a surprise party, you need to ensure that your guests are not able to see all that glitter from outside. You can use crepe paper, helium balloons, and small lights to make the surprise much more exciting. Now all the arrangements are carried out marvelously and finally the BIG DAY is here. Now ask the invitees to arrive a little early at the party venue. And, once your victim arrives at the place, don’t forget to yell “surprise”. Outdoor Catering wishes you a very Happy International Women’s Day !! Book Your Festive Theme Parties Now!! Diwali Party Ideas for an Exciting and Fun Bash!